During an MSNBC town hall on Monday evening, Hillary Clinton praised President Obama’s accomplishments on a number of policy issues, including the economy, but said she wanted to “go further” on other issues. “People now don’t really remember how bad off we were so I do want to build, but there are things that I want to go further on,” she said. 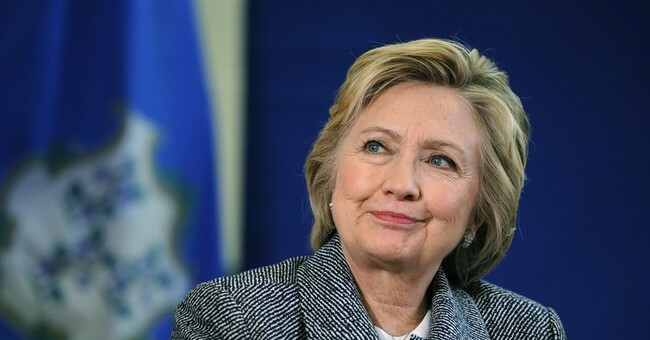 Among the items she named as wanting to “make a big, big push on,” included equal pay for women (despite the fact that the Clinton Foundation pays female executives less than their male counterparts), early childhood education, affordable college and deb-free tuition, the Affordable Care Act, mental health, criminal justice reform, and—you guessed it—gun control. On the last point, Clinton said she “really support[s] everything President Obama said he would do through regulation on guns, but we’re going to start the very first day and tackle the gun lobby to try to reduce the outrageous number of people who are dying from gun violence in our country and I will take that on." According to the American Conservative Union’s rating of Congress, Clinton had a more liberal voting record than President Obama when the two were senators.